In the September issue, readers were treated to an article with the incredulous headline “Unconstitutionality of the Constitution”. Now, the very notion of an unconstitutional constitution is slightly bizarre, more like saying that the Bible is unbiblical, but I will let it pass. In the article, the author, Shadrack Muyesu, puts forth arguments to support the idea that a constitution can be unconstitutional. It is those arguments that I take issue with. As we shall see, his case is superficially appealing but begins to break down upon closer examination. The aim of this article is to correct the impression created by Muyesu’s piece. We will argue that a constitution cannot be unconstitutional in any circumstances; it can only be a bad or imperfect constitution. As Muyesu himself seems aware, a constitution cannot be unconstitutional for lack of another constitution against which alleged unconstitutionality must be construed. He, however, proceeds to assert that some constitutional clauses are superior to others, and that failure to abide by these “superior” clauses results in unconstitutionality. Therein lies the fallacy. To begin with, the Constitution of Kenya, 2010, as all other constitutions, affirms its place as the supreme law of the land in Article 2(3) where it states: “The validity or legality of this Constitution is not subject to challenge by or before any court or other state organ”. Therefore, even if one felt that a clause of the constitution is somewhat unconstitutional or illegal, there would be no forum before which to challenge it, and nobody to make that declaration of unconstitutionality. Even where one challenges an amendment to the Constitution on the basis of non-compliance with “superior” constitutional clauses, the courts have shown reluctance in entertaining such cases. The above position is very well illustrated by the case of “Rwanyarare and Haj Badru Wegulo vs. Attorney General (Constitutional Petition No. 5 of 1999 [unreported])”. The petitioners had moved to court alleging that certain articles of the Constitution of Uganda were inconsistent with other articles of the same Constitution, and constituted threats and infringements to the inherent rights and freedoms therein. The petitioners sought to have the offending clauses declared unconstitutional. Thus, provided the correct procedure for amending the Constitution has been followed, the new clause forms part and parcel of the Constitution, and it is not open for the court to inquire into the constitutionality of the said clause. More importantly, it is crucial to note that constitutional clauses are all complementary; none is superior to the other. There are numerous authorities to support this position. From the foregoing, no constitutional clause is superior or inferior to another. Constitutional clauses are complementary. This point is valid, but should not be a source of concern. The drafters of the Constitution evidently anticipated mischief from our legislators, hence the requirement for a referendum in certain instances. Article 255 of the Constitution provides: “A proposed amendment to the Constitution shall be approved by a referendum if the amendment relates to any of the following matters: a) the supremacy of the Constitution; b) the territory of Kenya; c) the sovereignty of the people; d) the national values and principles of governance mentioned in Article 10(a) to (d); e) the Bill of Rights; f) the term of office of the president; g) the independence of the Judiciary and the commissions and independent offices; h) the functions of Parliament; i) the objects, principles and structures of devolved government; and j) the provisions of this chapter. Thus, an attempt to rid the Constitution of the two-thirds gender rule would trigger a national referendum since it relates to equality, which is among the national values and principles of governance mentioned in Article 10… So would an attempt to tamper with the independence of the Judiciary. Such amendments are highly unlikely to succeed, as the public is now aware of their potential retrogressive effect(s). In conclusion, it is acknowledged that, while a Constitution may have (and always has) its imperfections, there will be clauses that do not seem in tandem with the “norms” or principles underpinning the Constitution, and no one is really saying otherwise. Moreover, as explained above, we already have a remedy for constitutional incoherence – reconciliation by the courts. However, to construe those imperfections as amounting to unconstitutionality is jurisprudentially unsound and only creates needless confusion. 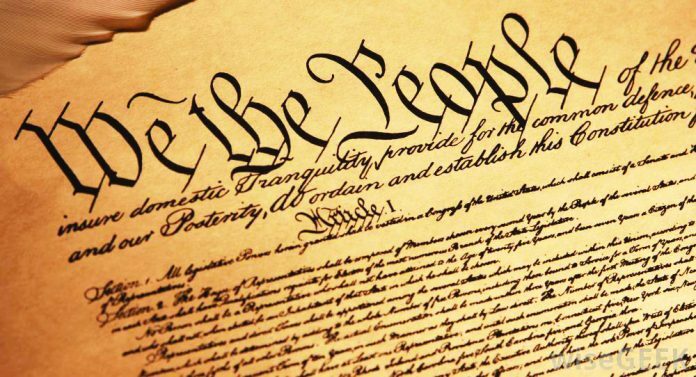 ← Can Constitutions be Unconstitutional?